A record 80 million passengers travelled through Heathrow Airport last year, up 2.7 per cent on 2017, with growth boosted by the use of larger and fuller aircraft. Heathrow is one of only seven airports in the world to achieve the milestone. Over 1.6 million metric tonnes of cargo travelled through the UK’s largest port by value throughout the year. Heathrow chief executive, John Holland-Kaye, said: “Last year was an exceptional year for Heathrow, with record passenger numbers and service levels, and with MPs voting overwhelmingly in support of expansion. Last year, Parliament voted by an overwhelming majority for Heathrow expansion – a project which will bring growth to every corner of the UK. 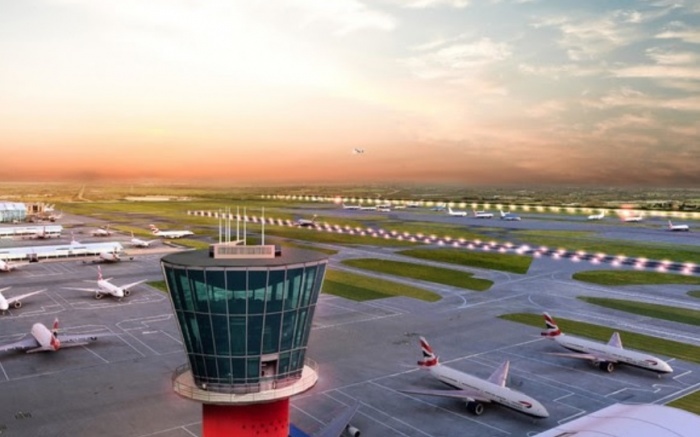 Since this landmark vote, Heathrow has moved forward in delivering an expanded airport by launching a consultation on airspace modernisation this week. Some 6.5 million people travelled through Heathrow in December, as passengers made their way home for the holidays or sought winter sun. Traffic increased by 2.5 per cent, making December the 26th consecutive record month.